During the initial years of the Victorian period, majority of the people travelled by road either on foot or by using horse-drawn vehicles. In fact, the horse-drawn vehicles were one of the crucial sources of commuting. 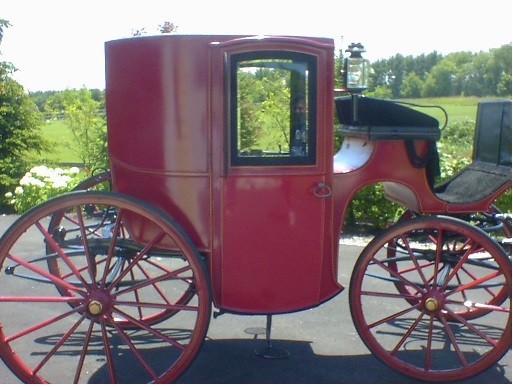 Brougham was another mode of transportation which was used for daily travelling. The vehicle obtained its name after the man who designed it, Lord Brougham. It was either a two-wheel or a four-wheel vehicle. It was a light weighted vehicle and was drawn by a horse. The aristocratic families or the upper class families generally used barouche which was a four-wheel carriage having a fold-up hood. The seats in the carriage faced each other. Open vehicles like Wagons and drays were a mode of transport used by country people. These vehicles were large and heavy as compared to the carriages and their weight made them slow. Wagons and drays were used for carrying goods. But even people and animals could travel in it. 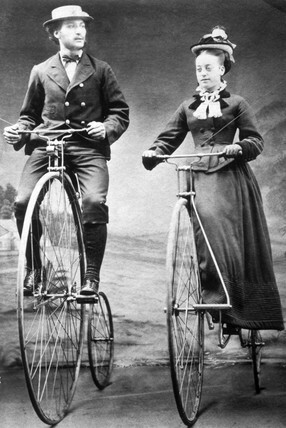 By the late 1800s, bicycles were popular and widely used for commuting. As it was a personal transport, women could wear clothing suited the cycling activity. Phaeton was an open carriage drawn by horses. It was light and had four-wheels. It was liked by the ladies who drove it through the parks. Phaeton got its name from the son of Greek sun-god Helios who was known for his driving the sun-chariot badly. 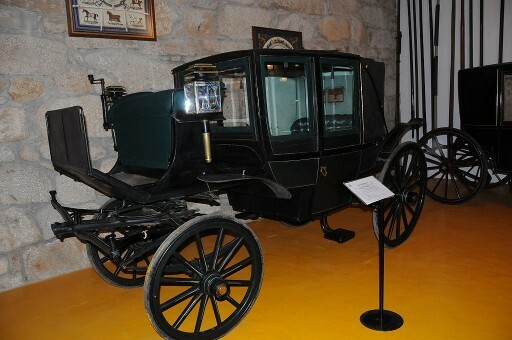 Another vehicle known as Landau carriage was used for travelling. It was originally named in Germany and named after the town which made it. It was regarded as a status symbol and thus was expensive. These carriages were either open or had folding top. During the last few years of the Victorian reign, cars were manufactured and run on the roads. These became the mode of transport. The first car or horseless carriage was seen in 1865. These cars were a rarity until 1880s and 1890s. These cars being manufactured in less quantity were expensive and thus only the rich could afford it. The Victorian period is known for the industrial developments that brought about changes in the Victorian society- socially and economically. Steam engines were being used to run trains, ships, and buses. Railways were an easy mode of commuting. People used railways for going to out-station trips for holidays or even for normal trips. The trains were thus a popular source of transportation. The first steam railway that was made was the Liverpool and Manchester Railway in 1830. It had different compartments like first class and second class. Sometime around 1854, every town, big or small was connected by trains. In 1863, first underground railway was started in England which enabled people to travel between London and other places.